The Santa Clara Valley Transportation Authority (VTA) has a higher rate of rehiring employees who were terminated for serious offenses than many other transit agencies across the state, the NBC Bay Area Investigative Unit has learned. Roughly one in five, or 21.8 percent of bus drivers, train operators, dispatchers, para-transit drivers and field and road supervisors were fired and subsequently rehired over the past decade, VTA data shows. This includes employees fired for substance abuse violations, assaulting a passenger and multiple accidents. The Investigative Unit asked the agency for its termination and rehire reports for employees in safety-sensitive roles after sources contacted NBC Bay Area with concerns that too many operators were getting their jobs back after violating safety policies. “Some of the things that happen are severe safety issues,” said a VTA insider with more than a decade of experience transporting passengers. The person asked to remain confidential for fear of retaliation by management. According to VTA records, employees who were fired for assaulting a passenger, failing to show up for work and getting into multiple “preventable accidents” were all rehired. Out of 124 employees in safety-sensitive roles who were terminated, VTA rehired 26 into the same positions. Another individual was fired and rehired twice. One employee, a light rail operator, was fired after running a red light at North First Street and Metro Drive last May and crashing into a Prius. According to the accident report filed by the California Public Utilities Commission—the regulatory agency tasked with overseeing rail safety—the driver of the vehicle was seriously injured and had to be extricated from the roof of the car. VTA records indicate that the operator was rehired into a different position a month after being fired. When asked what message it sends to riders that the VTA rehires one in five operators it terminates, Bob Escobar, vice president of administrative services said it’s all about public tolerance. “If we have a public that has no tolerance and says anytime someone has an accident they should lose their job, then it is very difficult to explain to the public,” Escobar said. When the VTA decides to fire someone, union rules require an arbitrator to hear the case. The same contract requires the agency to rehire anyone who wins a case in arbitration. Escobar said that the VTA needs to do the best it can to produce airtight justification for each termination. The Investigative Unit contacted other transportation agencies in the Bay Area and asked for their termination and rehiring data over the past decades for employees in the same safety-sensitive roles—bus drivers, train operators, dispatchers, para-transit drivers and field and road supervisors—and found that only the Alameda Contra Costa Transit District (AC Transit) comes close to VTA’s rehiring rate, at 21 percent. Records show that the agency rehired 83 of the 393 employees it fired. Bay Area Rapid Transit (BART) reported that it hired back two drivers who were fired, but they were placed into different positions. And the San Francisco Municipal Transportation Agency (SFMTA) said that it didn’t rehire anyone it fired. Statewide, data from the Los Angeles County Metropolitan Transit Authority (LA Metro) shows it rehired 9 percent of its bus, train and para-transit drivers, dispatchers and road and field supervisors. 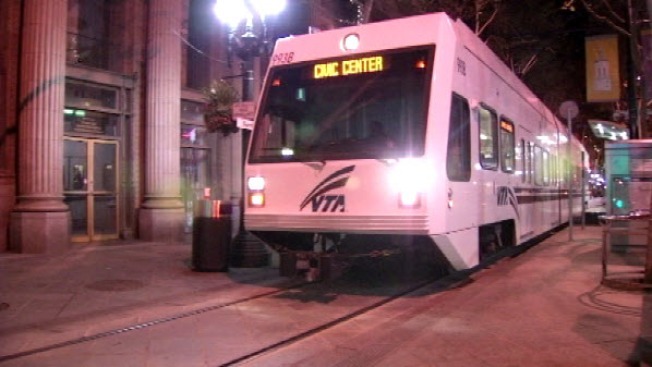 Sacramento Regional Transit District (RT) rehired 1 percent and the San Diego Metropolitan Transit System did not rehire anyone it fired, according to data obtained by NBC Bay Area. Those statistics are lower than the VTA’s numbers. A second VTA insider said the reason may be that supervisors often fail to build strong firing cases that stick. Both VTA sources say this is especially true when it comes to cases involving substance abuse violations. The Valley Transportation Authority’s data also shows that five employees who were fired for violating the substance abuse policy got their jobs back. According to the insiders, the agency has “one of the most lenient drug policies in the country.” Last year the Federal Transportation Authority even urged the VTA to reconsider its substance abuse guidelines. FTA Investigators wrote in a September audit report that “while many transit agencies offer ‘second-chance’ programs; VTA unusually offers what may be termed a ‘fifth-chance’ program.” The report states that VTA’s policy “creates a potential safety risk for both the public and for VTA employees themselves if employees are permitted to fail or refuse” a drug test multiple times without consequences. Escobar said the agency is currently in talks with the union to amend the terms of the drug abuse policy. Escobar pointed to the union’s powerful collective bargaining agreement as the reason it must “continue employment” and make payouts. But VTA insiders say the termination and rehiring practices have serious consequences for the 140,000 daily riders who trust the VTA, and for the people who share the roads with buses and trains.